One of the largest scale models in the world! One of the reasons for building the Solar System was to show just how big space is. If you walk as far as Pluto and look back towards the recreation ground, you get a sense of the vastness of space. 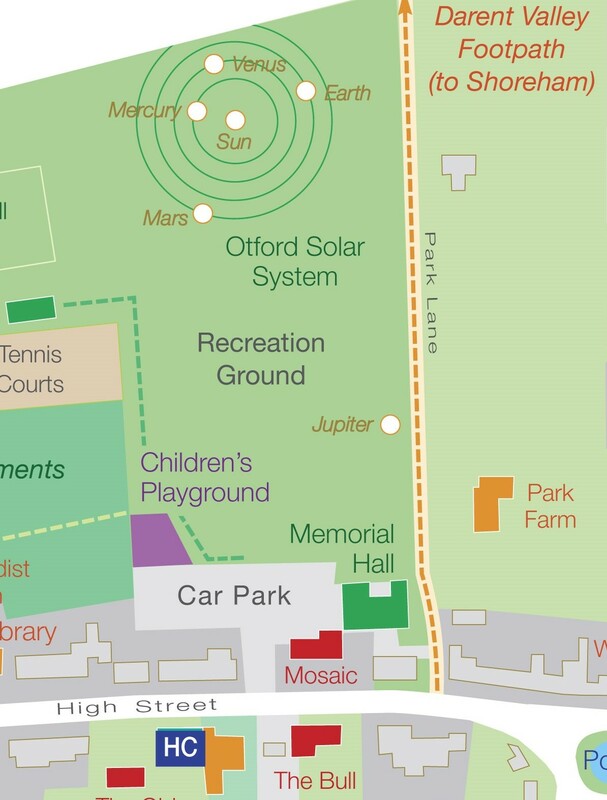 The centre of the Solar System is at the North-East corners of the High Street Recreation Ground. Click here to find out more about the Otford Solar System.